TOWN centre traders are showing their love for Leamington by putting their spin on a classic song. More than 20 retailers star in a video based on the hit song ‘Love is All Around’ – made famous by The Troggs and later by Wet Wet Wet. But the lyrics are slightly different – as they instead reflect the traders’ love for the town and all it has to offer. 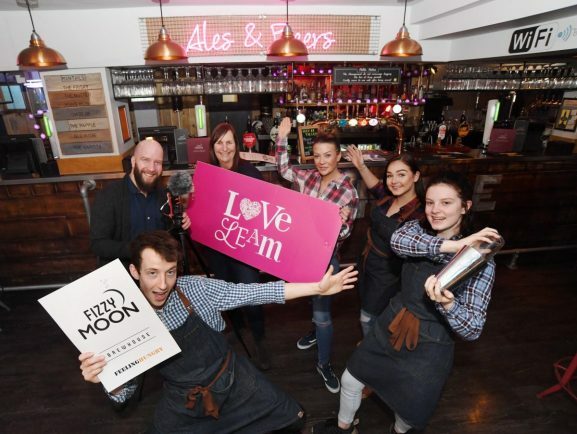 The song has been produced by Leamington’s Business Improvement District (BID) to celebrate the start of its ‘Love Leam’ campaign. It follows the success of a Christmas music video the group did of Mariah Carey’s ‘All I Want For Christmas’ – which racked up more than 15,000 views. Project manager Alison Shaw said: “We first did a video with retailers in December with ten stores singing as a way to encourage people to shop locally. “The retailers loved it so we decided to do it again for Love Leam and we got more than twice as many traders wanting to be involved. A host of activities will be taking place throughout Love Leam, which runs until the end of March. Visit www.royal-leamington-spa.co.uk for more information. The music video can be viewed on BID Leamington’s social media platforms from Monday (February 11).